Scott Martin has performed professionally in a wide variety of musical styles and roles. As a studio musician in New York City with Carly Simon, he sang background vocals, arranged and played synthesizers on the hit, Coming Around Again, theme song to the movie Heartburn, starring Jack Nicholson and Meryl Streep. He worked with Mariah Carey on her first recording session and her first album, as well as with singers Philip Bailey of Earth Wind and Fire and Robert Lamm of Chicago. He co-wrote and produced the title track to the album, Magnetic, by the jazz group Steps Ahead, featuring vocalist Dianne Reeves and saxophonist Michael Brecker. As a jazz pianist, he has played with Mike Stern, Bill Watrous, Miroslav Vitous, Billy Hart, Mike Mainieri, Joe Lovano, Victor Lewis, Javon Jackson, Harry Allen, Ron Miles, Carl Fontana, Pete Condoli, Red Holloway, Hiram Bullock, Tia Fuller, and many others. He has performed two national tours with the Broadway hit musical Jersey Boys. He currently runs the record label Liberian Handshake Records which donates a significant percentage of proceeds to African education outreach and other charitable causes. Announcing the Release of Scott Martin Alone at Sunset on Liberian HandshakE Records. Pianist Scott Martin has brought together a vibrant group of singer-songwriters and instrumentalists to create a collection of new, original jazz standards. Recorded at the legendary Carriage House in Stamford Ct. by Grammy-winning producer/engineer Jay Newland (Norah Jones, Gregory Porter, John Scofield), Alone at Sunset shimmers with energy and excitement that pull you inside the music, into the performance. 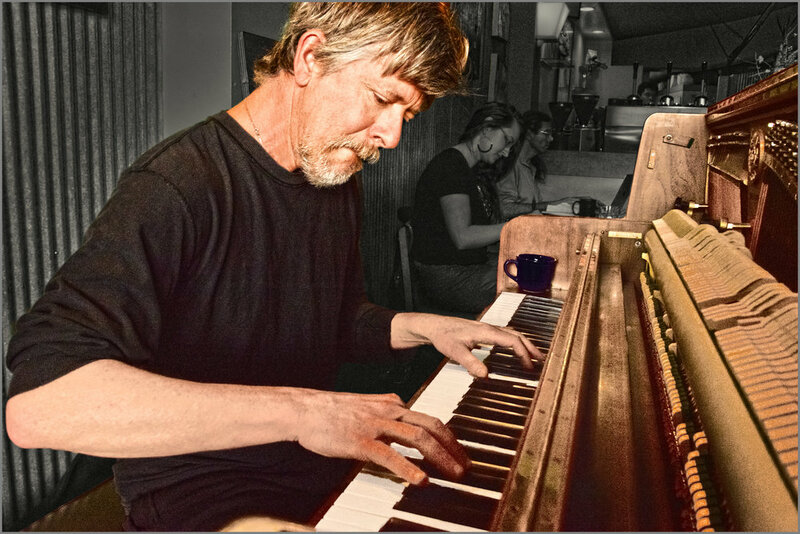 Drawing on influences spanning Thelonious Monk, Bill Evans, Herbie Hancock and McCoy Tyner, Scott Martin wrote the music for Alone at Sunset and invited his favorite singers to write lyrics based on their impressions of the songs. The result is an album of a wonderful variety of voices, moods and colors unified by the pianistic and compositional style Scott brings to each piece. Blending a pop esthetic from his early work with Carly Simon, Mariah Carey and cross-over jazz artists like Michael Brecker and Steps Ahead with his love of the classic jazz of the 50s and 60s, Alone at Sunset offers new music that sounds both fresh and timeless.